We are situated at Plant Ranch: 29 Rabie Str, Lyttleton! Come & enjoy a Funky Fun Art experience with us! Kiddies Mosaic workshops and special workshops for kitchen teas, families, team building, etc. also available! 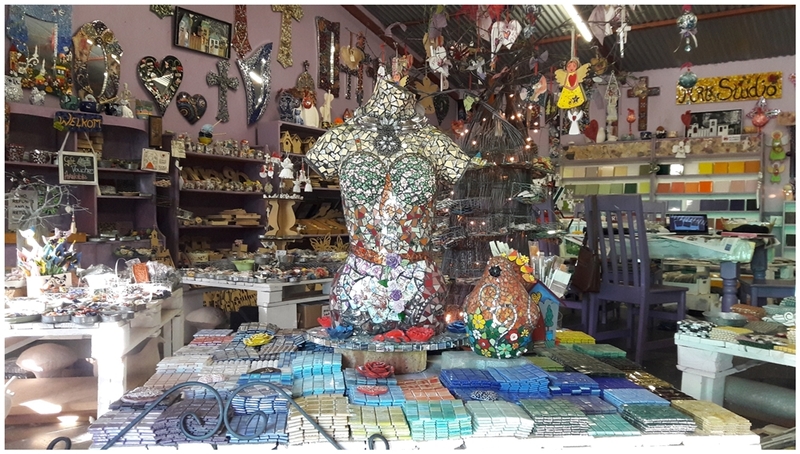 Visit our Studio for various artwork for sale, as well as yarn pots, wooden blanks, mosaic inserts, mosaic tiles, printed tiles, ceramic tiles, chalk paint, embelishments, doorknobs and hooks, and much more! !